Many arrests for domestic violence crimes involve alleged perpetrators or accusors that suffer from mental health issues. False allegations of abuse and criminal behaviors are often the result of distorted thoughts of people with mental illness. Criminal defense attorneys in Minneapolis who represent clients falsely accused face the added hurdle of demonstrating that the accusor’s allegations have no merit. Domestic violence allegations frequently involve mental health issues that cause psychotic episodes. Since police officers are not usually trained in recognizing mental health issues, they have no way to distinguish whether the domestic violence allegation stems from mental illness or criminal behavior. Even if the allegation is false, police have to make an arrest in most cases. When mental illness is involved, false allegations of domestic abuse and violence can result in an unfair arrest. Within the criminal defense system, there are ways to protect the rights and interests of people with mental health issues. If mental illness is suspected, medical experts such as psychiatrists and psychologists are used to provide a mental assessment of the defendant. It may take time to complete a full psychological evaluation of the defendant, but the information is essential to protect the defendant from possible criminal prosecution. After a thorough investigation and evaluation of the defendant, mental health issues can be raised in a criminal defense case. Capacity – If the defendant’s mental health prevents the person from having the capacity to follow the law, this can serve as a defense. 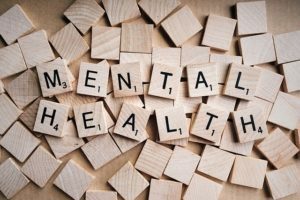 Competency – If the defendant’s mental health prevents the person from understanding the charges or effectively participating in the criminal court process, this can prevent the case from going to trial and ultimately lead to a dismissal. Mitigation – A defendant’s special circumstances that support more favorable treatment by the prosecutor or judge is called mitigation. The facts may not show that the defendant is innocent, only that he deserves more leniency due to mental illness, especially if he has no prior record. Witness Reliability – Mental illness can affect a person’s recollection of prior events. If a witness to the incident has mental health issues, his reliability as a witness during the trial can be challenged. False allegations against another person can result in arrest, defamation of character, malicious prosecution, and false imprisonment. In Minnesota, domestic assault is charged as a misdemeanor, with fines up to $1,000 and up to 90 days in jail. If the offender has two prior charges of domestic assault within 10 years, the assault becomes a felony offense with fines up to $10,000 and up to five years in prison.